Obaika Racing will attempt to qualify for the final three races of the 2018 Monster Energy NASCAR Cup Series season, according to a recent announcement from the race team. That string of races will begin Nov. 4 at Texas Motor Speedway and also include a Nov. 11 race at ISM Raceway near Phoenix and the Nov. 18 season finale at Homestead-Miami Speedway. A driver lineup for the three races hasn’t been announced. The team has yet to compete in a Cup Series race. 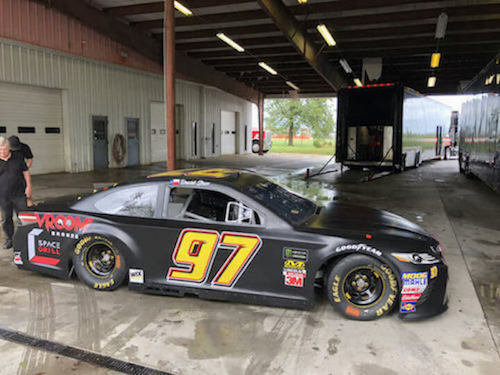 It attempted to qualify for the Oct. 14 race at Talladega (Ala.) Superspeedway with David Starr as driver but failed in its qualifying attempt. The team does have NASCAR national-level experience, though, running 78 races in the NASCAR Xfinity Series between 2015 and 2017 with several different drivers. Stephen Leicht was the teams last driver in the series last year. Obaika Racing announced in September that it would attempt to qualify for select Cup Series races over the course of the remainder of the 2018 season.